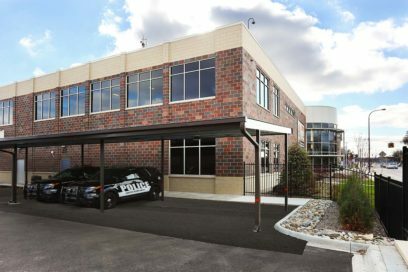 New construction of a 48,600 square-foot Law Enforcement facility. 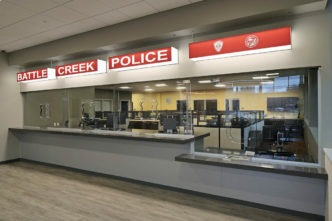 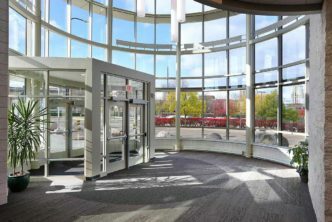 In September of 2016, after approval of the Commission, The City of Battle Creek entered into a contract with Schweitzer for the design/build of the Battle Creek Police Headquarters. 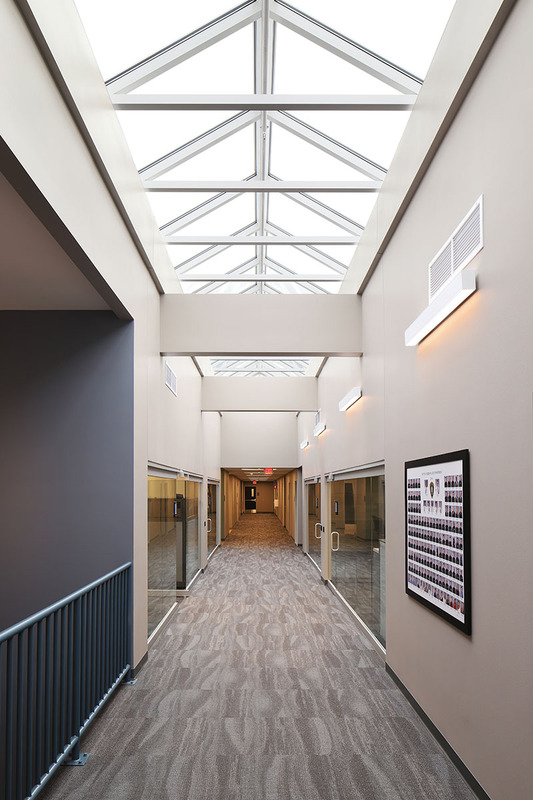 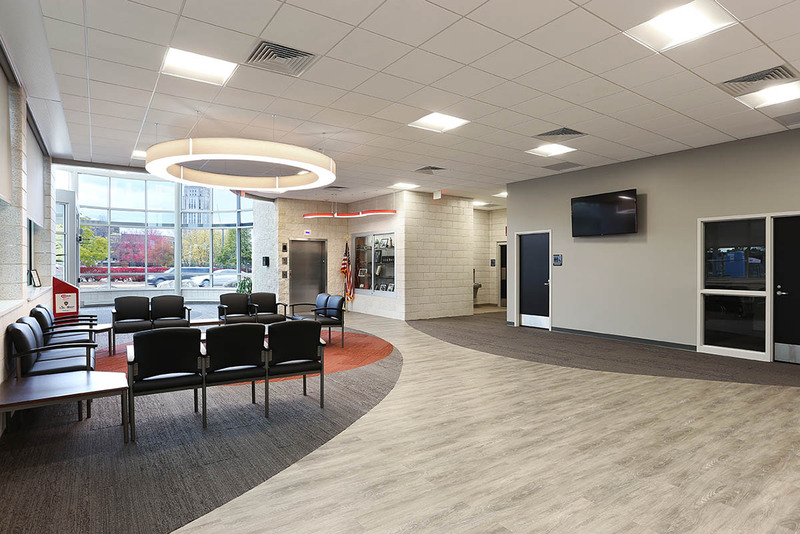 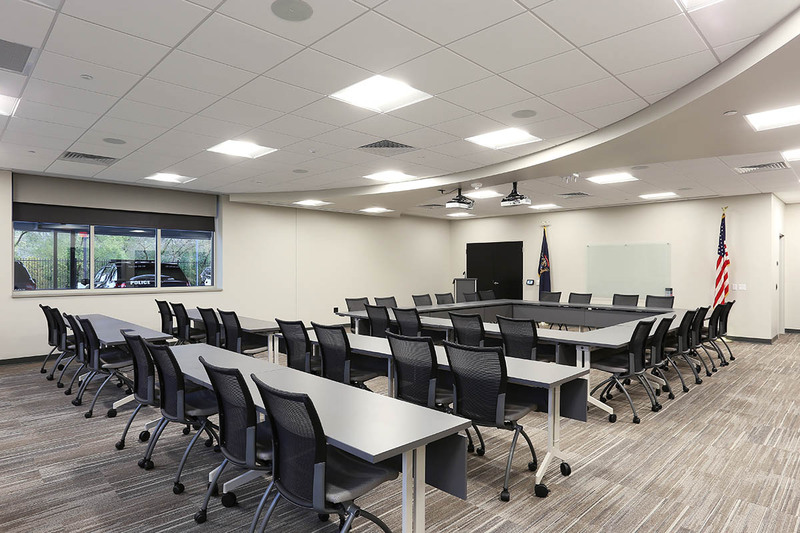 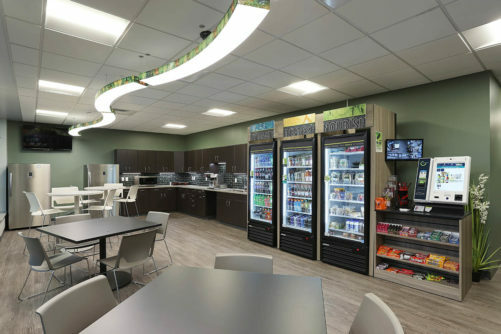 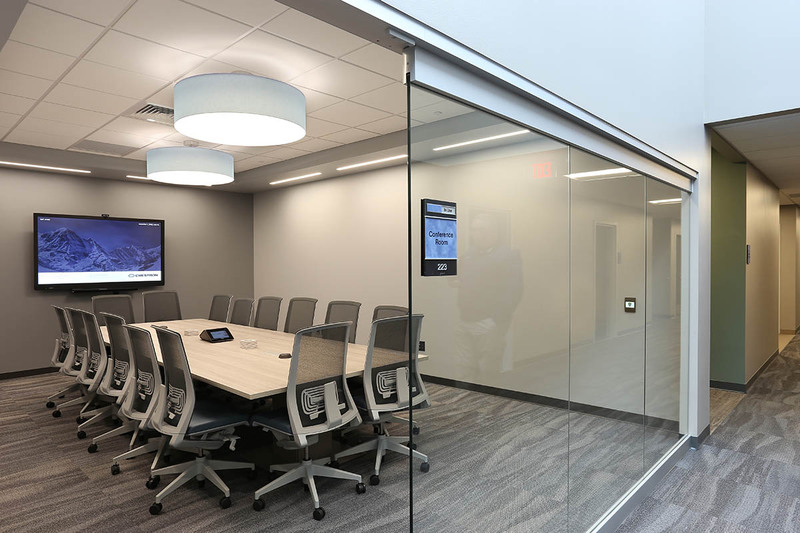 Schweitzer provided all-encompassing services from bid package development, bid management, bid opening with the Owner, post-bid interviews, recommendations for budget revisions, sub-contract execution, budget monitoring and project management through completion. 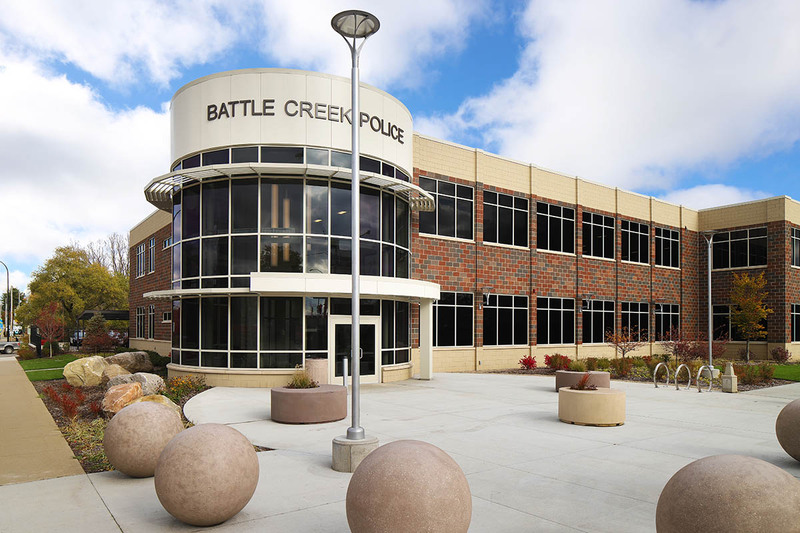 The City of Battle Creek moved into their new facility August of 2018. 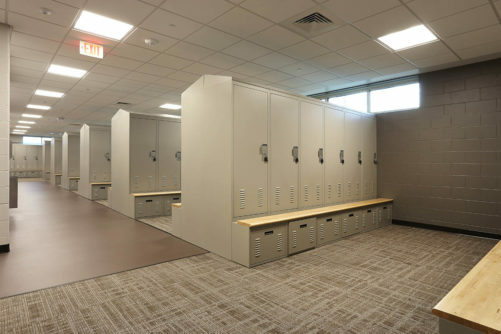 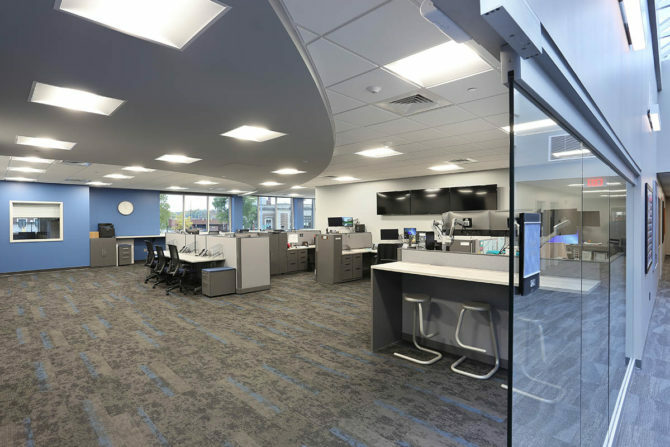 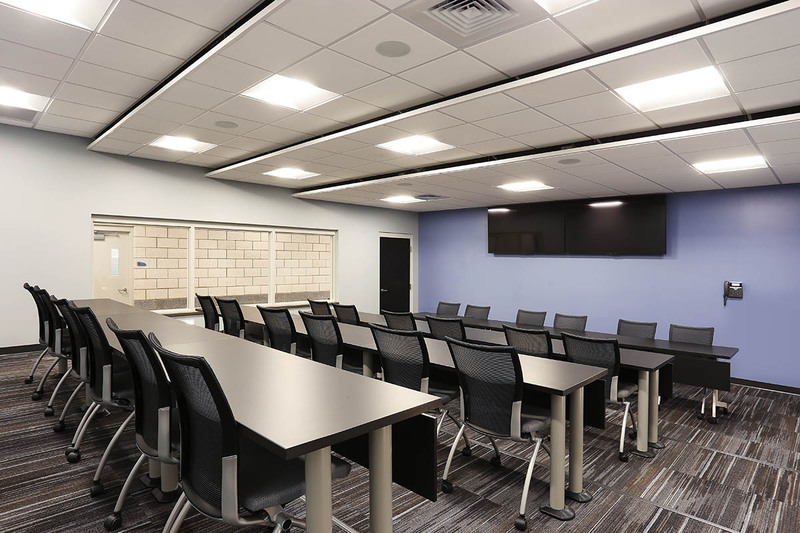 The facility features a forensic laboratory, open concept lobby, community room, officer wellness room, high density evidence storage, community fusion center along with open concept patrol and investigation areas. 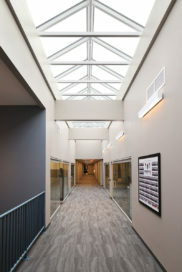 Schweitzer worked with several vendors and trades to ensure that proper security measures, necessary for a law enforcement building, were implemented while fulfilling the owner’s request to make the facility open and inviting for the public. 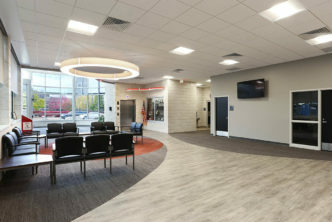 This was accomplished by using natural barriers in the landscaping and interior warm tones, decorative light fixtures and comfortable furniture all while being budget conscious.